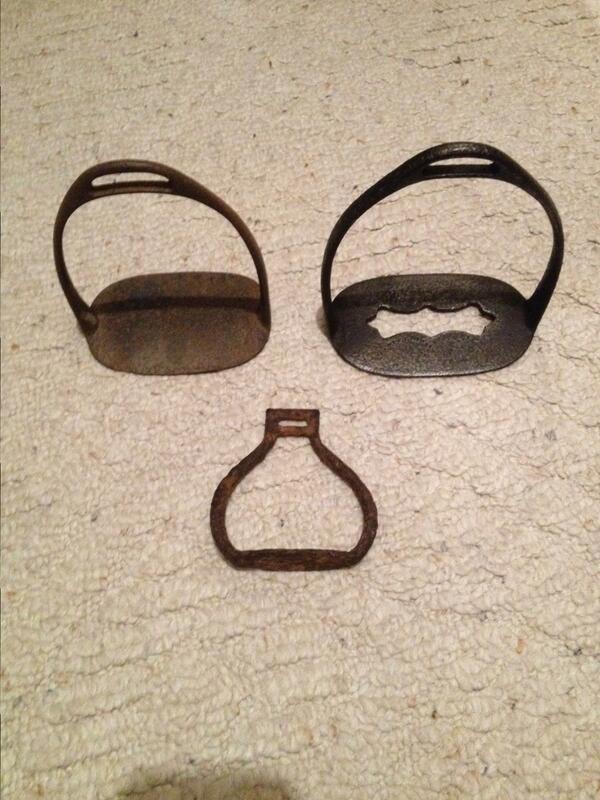 These stirrups were dug in various locations around Lexington Ky. The larger ones on top are are regular saddle stirrups, while the small one on the bottom is a woman’s side saddle stirrup. These types of stirrups were very common during and after the war.